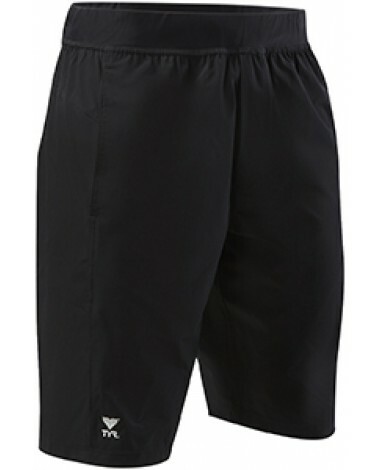 Built for guys on the go, the Men's Full Move Land to Water Short is ready for action both in and out of the water. With a comfortable waistband, adjustable drawcord and 10.5" inseam, the HLSS5A provides a relaxed fit and ample coverage. In addition, the Full Move Short also includes two side front pockets and one back safety pocket for personal item storage. 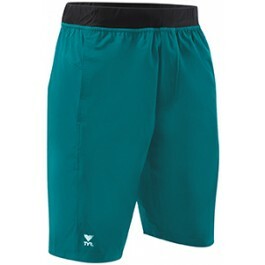 Versatile enough for any adventure, the technical design of TYR Land To Water Shorts empowers guys to sweat or swim when and where they want. Best suit ever, which is why I was surprised to learn from TYR that it's being phased out... Hope they bring it back!!! I purchased two pairs--both the black and the turquoise colors--in large. This suit provides mobility, speed, and the all important dignity in the water. 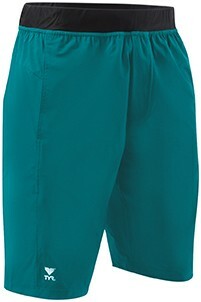 The length reaches just above the knee caps; the fit is NOT baggy so they are flattering for those who are in shape or in the process of getting in shape. They dry quickly and are very comfortable. The price is for a reason: this is the best suit ever in my opinion (and I have worn many suits over the years). The suit material is best for pools, secondarily for lakes and ponds, but I would not wear them in the ocean. Why wreck the Best Suit Ever in the rough ocean waves, sand, salt, and seaweed? Q: Is there a liner and if so what type?